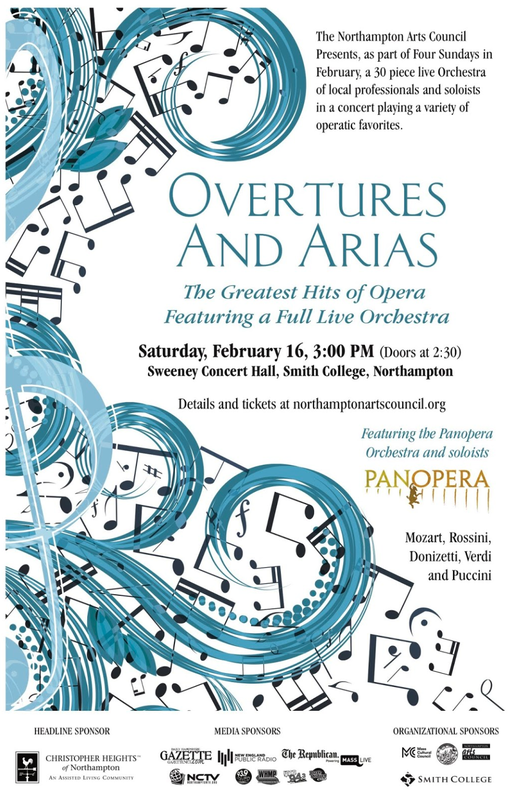 The Northampton Arts Council Presents, as part of Four Sundays in February, a 30 piece live Orchestra featuring the Panopera Orchestra and soloist in a concert playing a variety of operatic favorites. 75 minutes of Overtures and arias by Mozart, Rossini, Donizetti, Verdi and Puccini with an intermission. Sweeney Hall Box Office Opens at 1:00pm on the day of the show.